Summer time is in full swing now so hopefully you have your gear laid out to attack the hot climate for the next few months. If not, I have a few outfits ideas that can help guide your shopping trip to fill out your summer wardrobe. Here are 3 outfits that can get you through a summer day…. When you get up in the morning, you need simplicity. It’s too early to dial up the style, but certainly a time where you can still look more stylish than everyone else at the coffee shop. 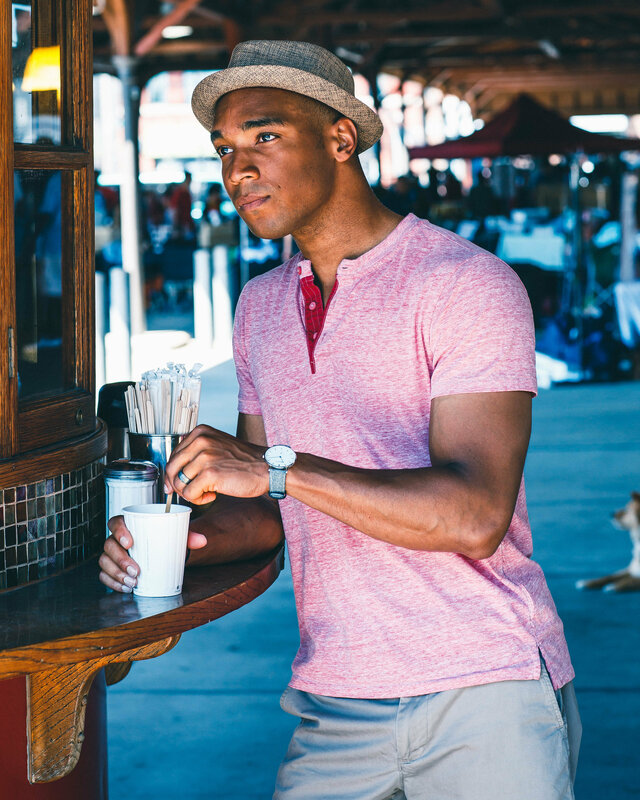 In those scenarios, throw a short sleeve henley, some simple shorts, canvas sneakers, and your favorite hat. The outfit requires very little thought or planning but has lots of style packed in. After your morning coffee, breakfast, and chores, it’s time to head around town. 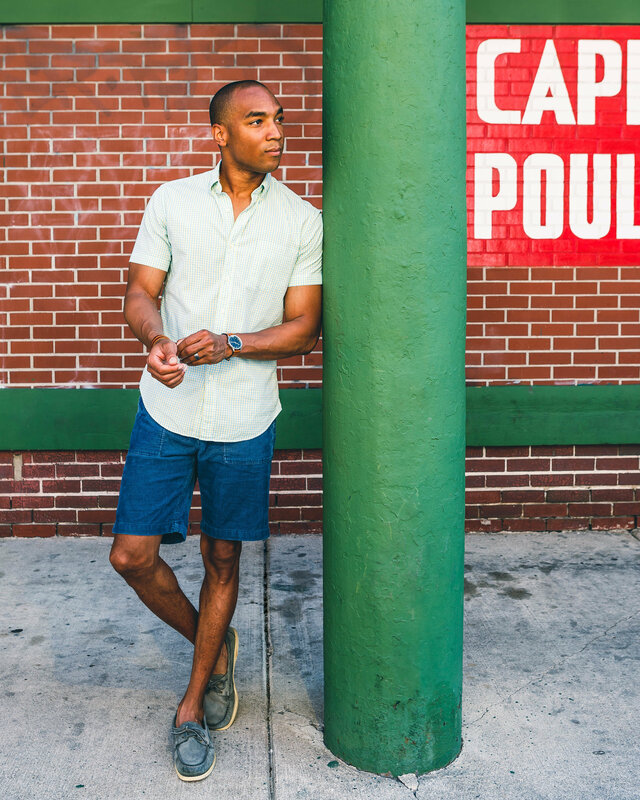 Start with a patterned short-sleeved button down that’s easy to match the colors with. Make sure it’s well fitting. Short-sleeved button downs look terrible if they’re too big. Ideal sleeve length would be mid-bicep. For shorts, corduroy shorts are something a little different and stylish. Shorts length is always up for debate, and really comes down to personal preference. What I will recommend is, at the longest, have the shorts fall just above your knee caps. 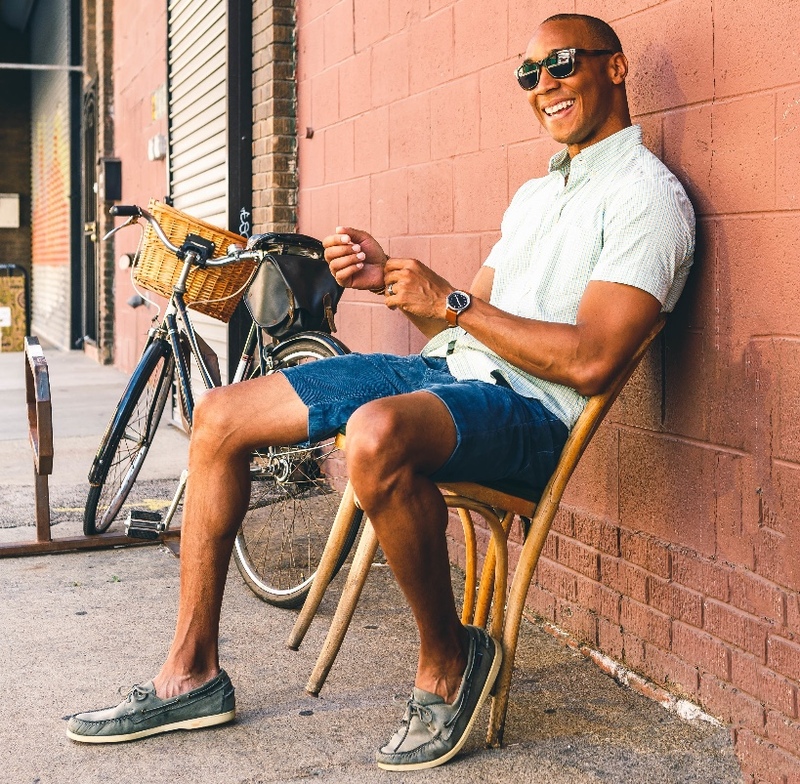 Boat shoes are a good summer footwear option. They can be dressed up and down, and are flexible from beachwear to partywear. As as the name of the shoe suggests, it can handle any water you throw at it if you get them wet poolside. When it’s time to hit the town for a night out, you want something sleek, that hopefully doesn’t look like every other guy. While that can be a challenge, it’s not impossible. 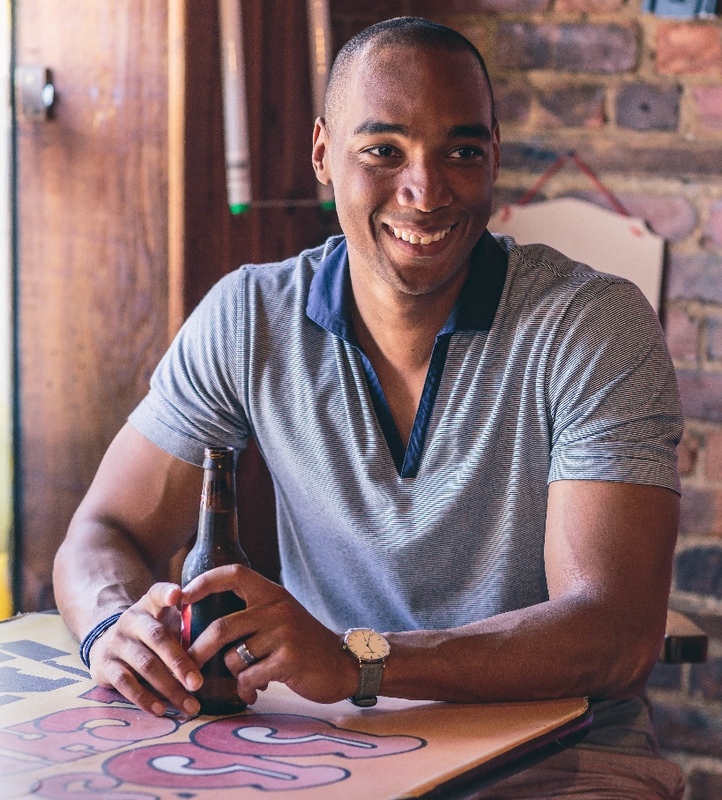 Starting with the top, find a unique polo that doesn’t look like every other polo on the shelf. Uniqlo normally has a few nice options each year. This will help set you apart from everyone else on a very common item. 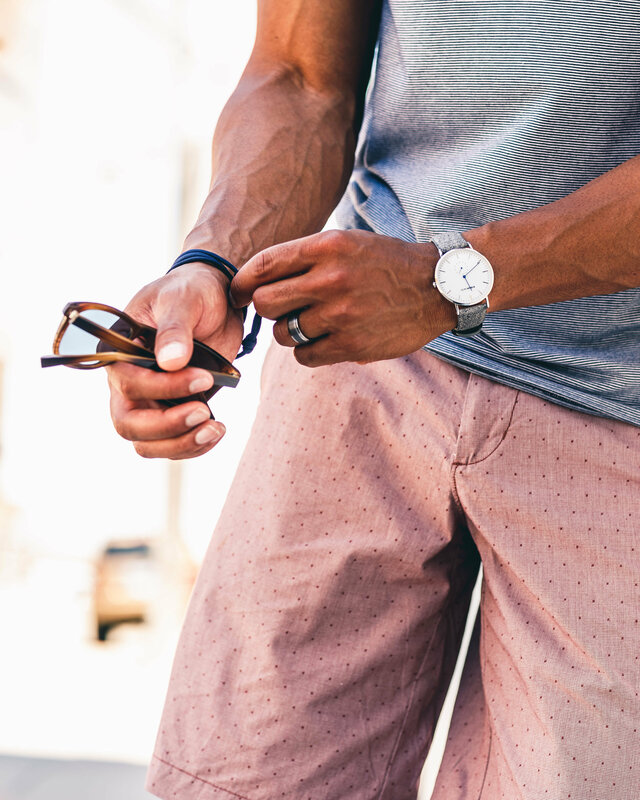 For the shorts, opt out of a plain color, and into something with a little pattern. It doesn’t need to be a crazy pattern, but just enough to add personality to your outfit. Footwear needs to be as crispy as your outfit. So go with either a pair of clean white sneakers, or polished loafers. Two things not mentioned above: pants and socks. We’ve spent months wearing pants and long sleeves, so now that the weather is officially warm for a while, show some skin! For socks, you don’t need them. Let your feet breath more in your shoes. However, I get that some people have sweaty feet and can’t go that route. In that case, buy a few pairs of no-show socks. Because it’s really the look that matters, more so than not actually wearing of the socks. A special thanks goes out to photographer, Jason Walker, for capturing all the shots above for this newsletter. Definitely hoping to get more of these down the road. Check out more of his photography on his site or on Instagram.